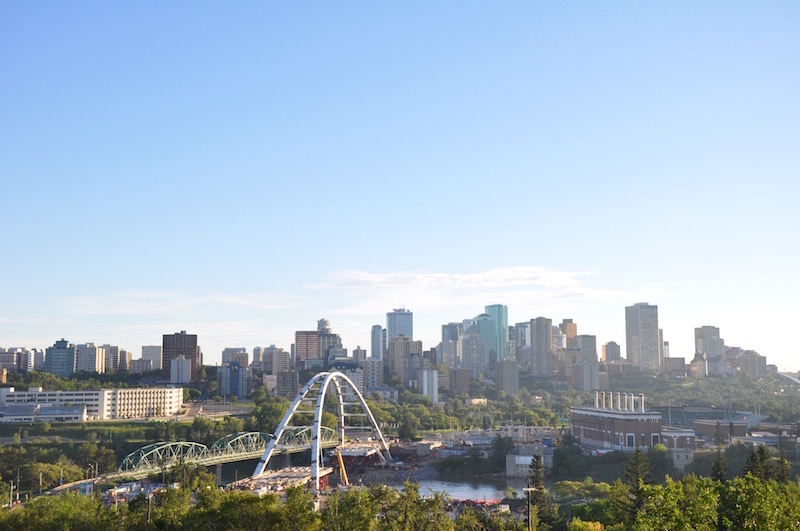 The city of Edmonton in Alberta, Canada deserves a bit of a spotlight. 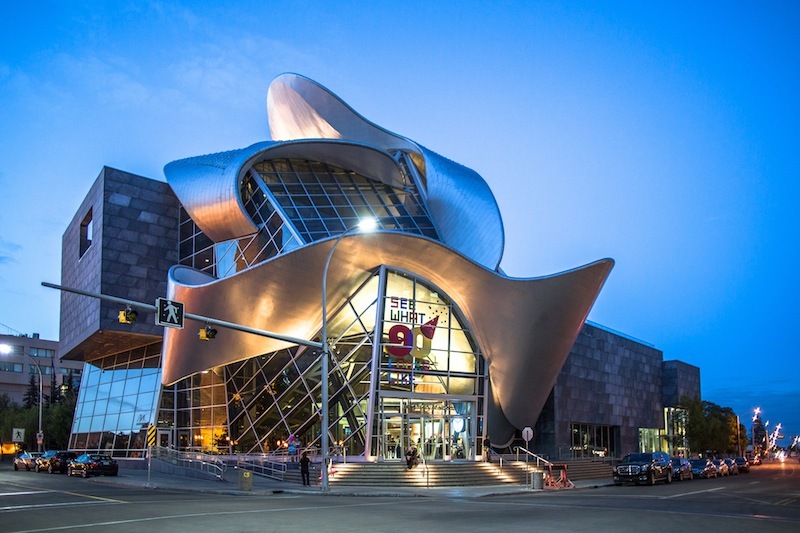 If you haven’t been you’re seriously missing out and if you have been, well I’m sure you won’t need me to tell you that you need to visit Edmonton again! I’ve just returned from a family break out there and am already itching to get back. 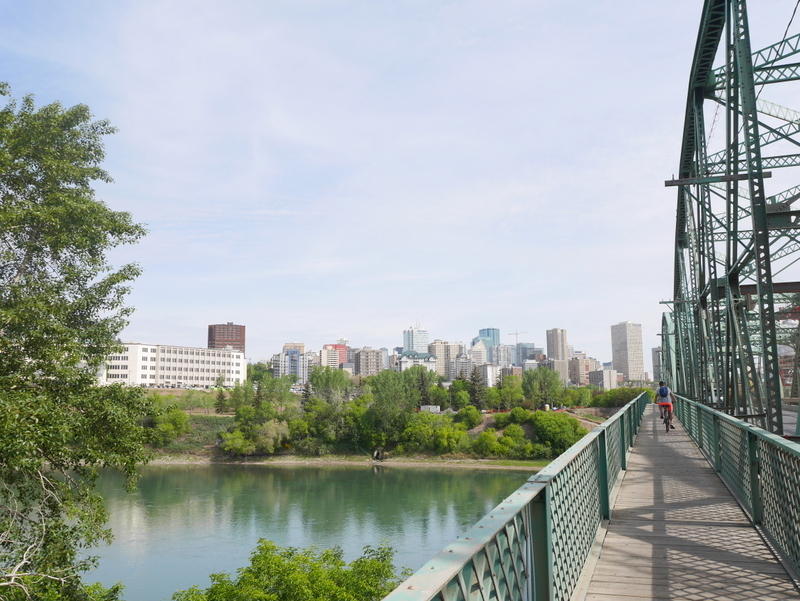 Edmonton has the usual city appeal – skyscrapers, lots of shopping and dining options, a bustling atmosphere – but part of its charm is that it’s so close to some pretty epic national parks. Elk Island National Park is less than an hour’s drive away and the stunning Jasper National Park is reachable in less than four hours. 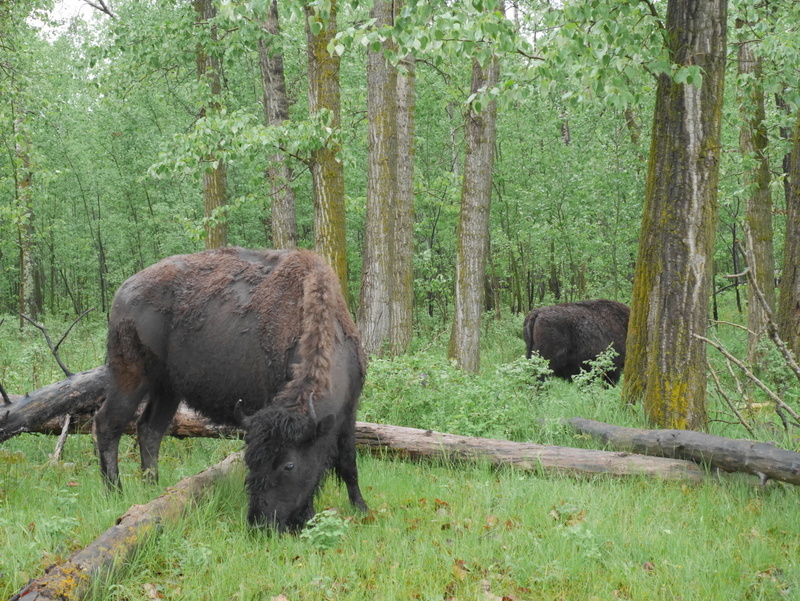 Elk Island is home to almost 500 bison and at both parks there are plenty of camping options, so you can indulge in some star gazing. Jasper is the world’s second largest dark sky preserve so it really is the ideal place. We visited Jasper Planetarium where we got to learn more about our galaxies and peer through giant telescopes. Very cool! So how big are we talking? It has a river valley that is 22 times the size of New York’s Central Park, so big! Edmonton is blessed with over 20 major parks, making the city super green and very easy on the eyes. 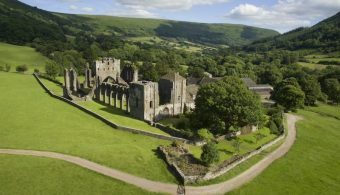 Whether you want to go for a jog, cycle or gentle walk, you have an endless route options. Best of all, you can enjoy a lot of it free. If you have the time and money to delve a bit deeper, visit Fort Edmonton Park to visit four eras of Edmonton’s past. It’s the ideal place to get your geek on! Animal lovers should head to Edmonton Valley Zoo and for a pretty Insta-fix head to Muttart Conservatory. The latter is quite small so you’ll only need about an hour max and you can team it up with other fun things. The Travel Hack Tip: Stick your trainers on and grab some fresh air to shake those jet lag cobwebs off! 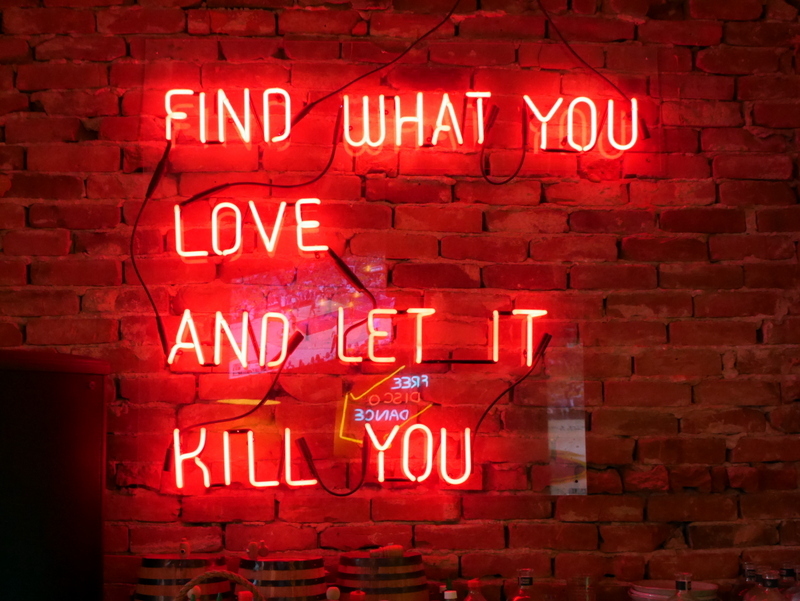 Head to El Cortez Mexican Kitchen + Tequila Bar and you’ll be blinded by photo opportunities. This place is seriously cool! The food, cocktails and craft beers are also really, damn good. Trust me, we thoroughly researched them during our visit. The Travel Hack Tip: Don’t forget to take a look at the basement…! Whilst you can easily get your Mexican-fix in Edmonton, you can also enjoy a green onion cake. It’s something of an unofficial treasure in the city and let’s admit it, a bit of a novelty compared to our tradition of a cuppa! The Travel Hack Tip: Visit one of the many markets, like the 124 Street Grand Market, to sample some of the best. Note from Monica: If you’re anything like me and you’re muttering ‘what on earth is green onion cake?’ check out this website. And whilst we’re mentioning novelties, Edmonton is home to the world’s largest indoor wave machine and a loop the loop water slide! 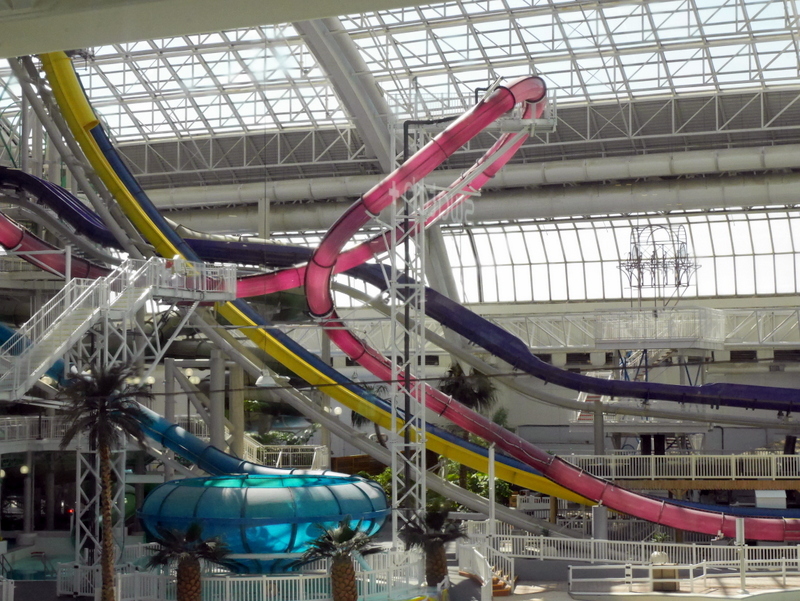 You’ll find World Waterpark in West Edmonton Mall, which deserves a mention in its own right. It’s a huge shopping arcade spanning the equivalent of 48 city blocks. Bring your credit card at your own peril! During the summer you really can get good value for money as you can pack even more in while the sunshine can stretch for 17 hours! There are lots of festivals and patios to exploit the good weather. The Travel Hack Tip: The longest day of all is 21 June. Talking of festivals, Edmontonians really do know how to party. 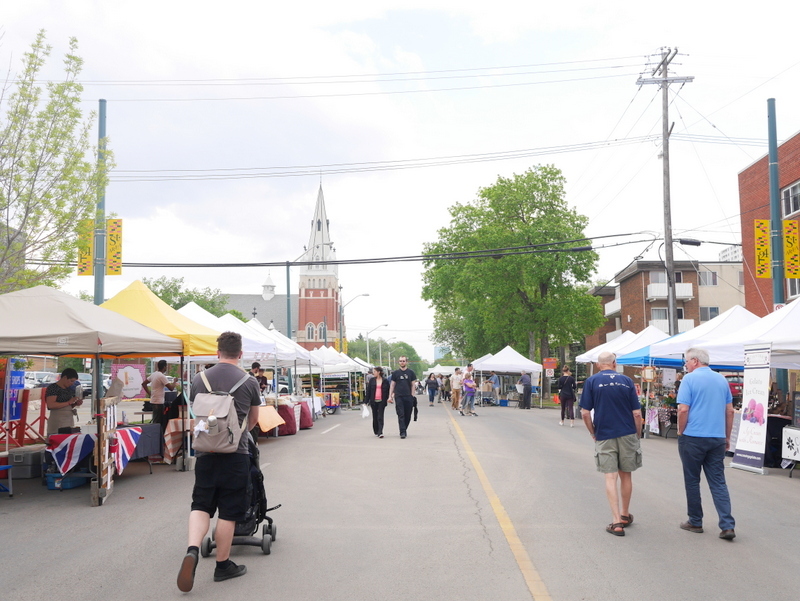 There’s pretty much a festival for everything; cats, crafts, music…if you can think of it, chances are there’s a festival for it in Edmonton. The last count listed 80 of them, including one for cowboy poetry! The Travel Hack Tip: If you’re visiting in winter make sure you look up Ice at Whyte Festival where you can tear down frozen slides! Check out all of Edmonton’s summer festivals here. Sold on the idea of going to Edmonton? Make it happen sooner than you think by applying for The Travel Hack’s amazing intern position! We’re looking for someone to take on the paid intern position and they’ll kick it off with an amazing trip to Edmonton with Monica and Elle. Read here for more details on this exciting opportunity. So there are other ways of getting there other than becoming our intern! We flew to Edmonton with KLM, flying from Birmingham to Edmonton via Amsterdam’s Schiphol Airport. The flight is around 11 hours, including the connecting flight. 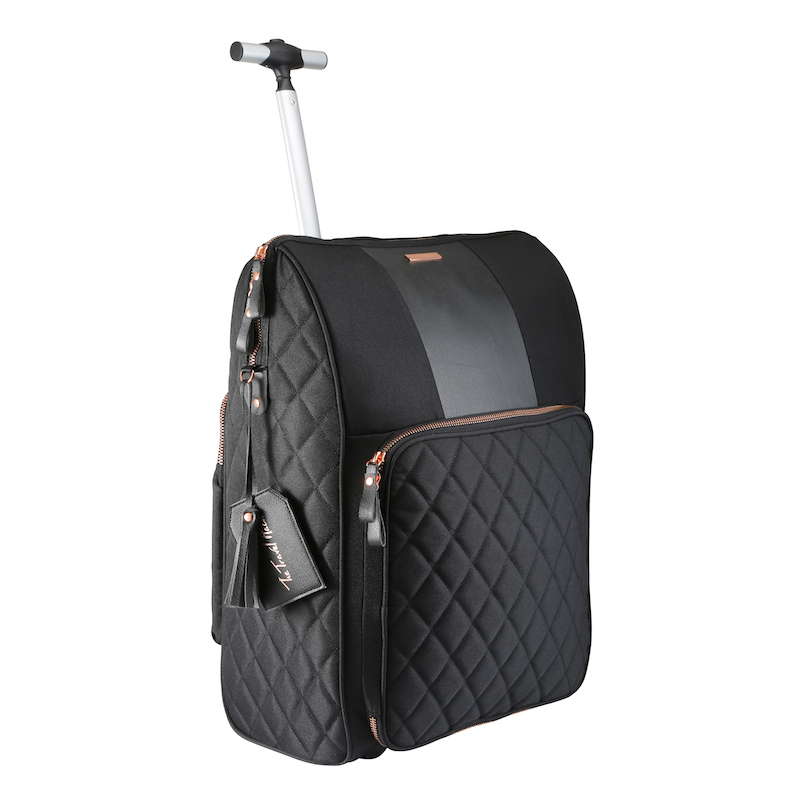 If you’re also travelling with a little one you’ll be pleased to hear that they’re totally geared up for family travel. You can pre-book a bassinet (like a mini-cot) for a baby to sleep in. 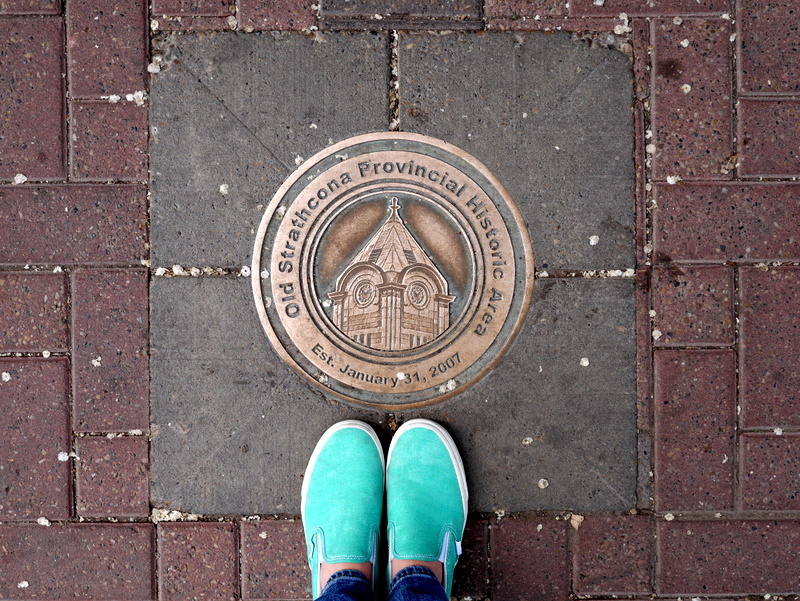 I was so pleasantly surprised to come across a travel blogger raving about my hometown! Edmonton used to get a pretty bad rap as being boring, but I definitely don’t think it is and I’m glad you don’t either! Fun – I always love Toronto, but I’ve never ventured to Edmonton – I’ll have to add that to my list… looks like such a colorful place to photograph and visit! I had a client based in Edmonton once and I always was hoping for them to schedule an in person meeting so I could go check it out. It looks like an amazing city, though that waterslide looks slightly terrifying ? This is the first time I have ever seen someone rave about Edmonton when it is usually Calgary, Banff or Jasper getting most of the attention in Alberta. However, it does look like an extremely beautiful city based on your photos. 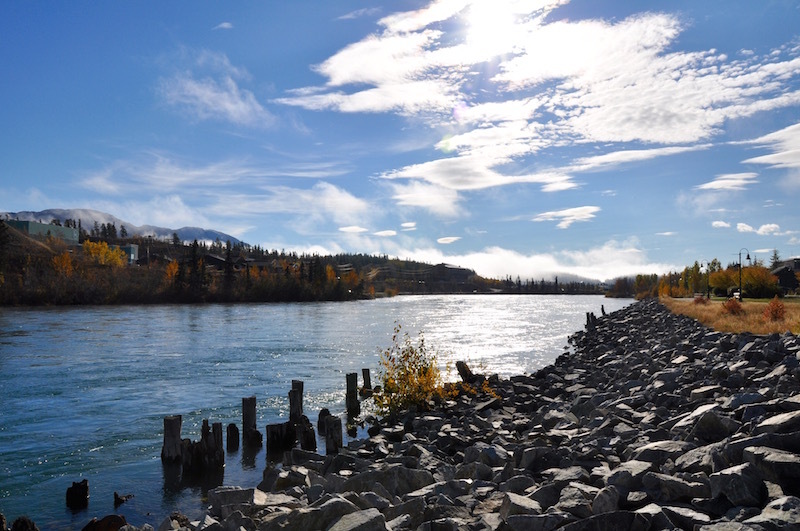 And as a bit of an “off the beaten path” Canadian city, it probably gives you good value for your dollar while minimizing the over abundance of tourists! Will have to check this city out someday as a result. Great perspective on a Canadian city which is often overshadowed by its counterparts. I’ve been to Vancouver, Montreal, Quebec and Toronto, looks like I need to add Edmonton to the list! It looks amaaaazing and I can’t wait to check it out – the other commenters are right, it’s usually overshadowed by other Canadian cities, but it looks like it’s a city worth getting acquainted with!